Sam explores how we can be kind to both ourselves and the little people we love in this episode. Sam answers questions about rough roommates, fake friends, and spends some time talking about KonMari and Lord of the Rings’ shared philosophy. Sam answers questions about facing the unknown and dealing with shame and guilt. She also talks about the APA’s excellent new guidelines for helping men and boys. Sam is about to embark on her own journey to New Zealand, and she’s nervous. 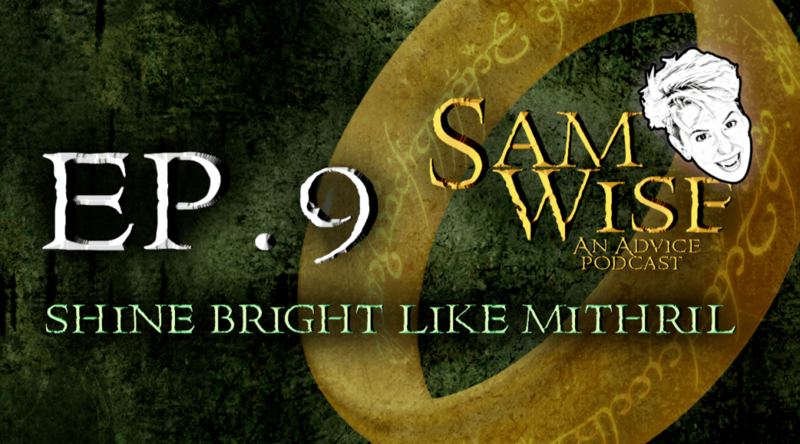 She turns to the Lord of the Rings for some holiday travel tips. 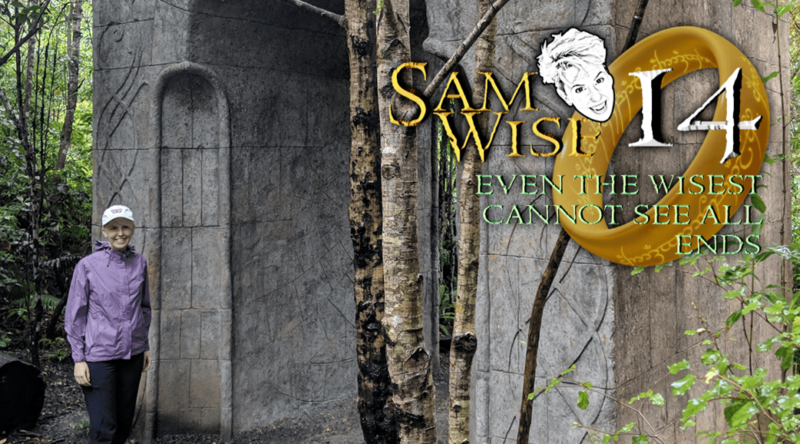 Special guest Will Plummer joins Sam for a round of Sam Wise “Live,” in which they discuss drawing boundaries with parents. 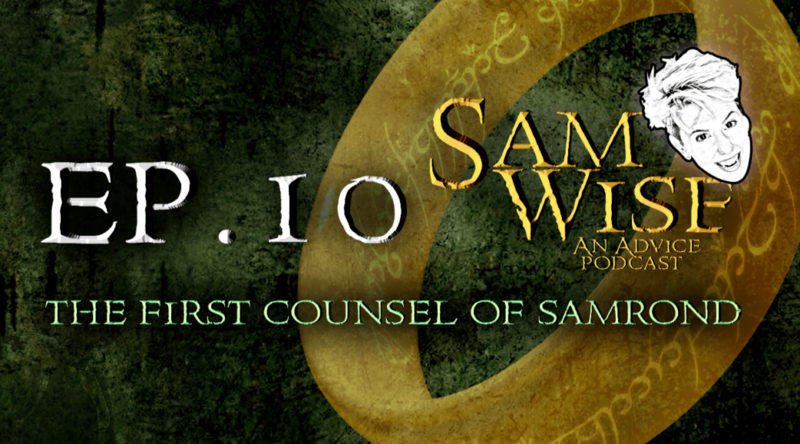 Turns out Elrond is no match for Sam Wise! Sam also touches on work-life balance and metal work. Sam spends a lot of time talking about manners this week. Whether dealing with significant others or creepy acquaintances, we could all stand to be a little more polite. 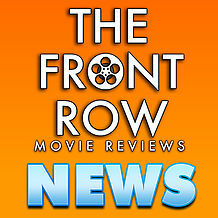 She also addresses whether or not Frodo was special or just a good dude. SUBCRIBE ON ITUNES NOW AND GOOGLE PLAY NOW! Michaela Bayas (@BayasThoughts) joins this week as Sam’s first guest. She has a question about sexism in her film class. Sam also discusses a couple of tricky relationship questions. Here is the link to the Reddit post referenced. Clothes, open-mouth chewers, crazy siblings, and fandoms find their way into Middle Earth this week! Here is the link to Captain Awkward’s Friday column I referenced. Boromir’s many screw ups can teach us so much about love, work, and stopping sexual harassment. Friend of the show Laura Solomon is helping friends in Paradise, CA. Refinery 29 has a marvelously comprehensive list here. Yet another question about dogs, a moving question about being supportive to the grieving Jewish community as an outsider, and how to exercise better, Middle Earth style! From Smithsonian Magazine, about how we’ve perhaps taken the wrong lessons from history.